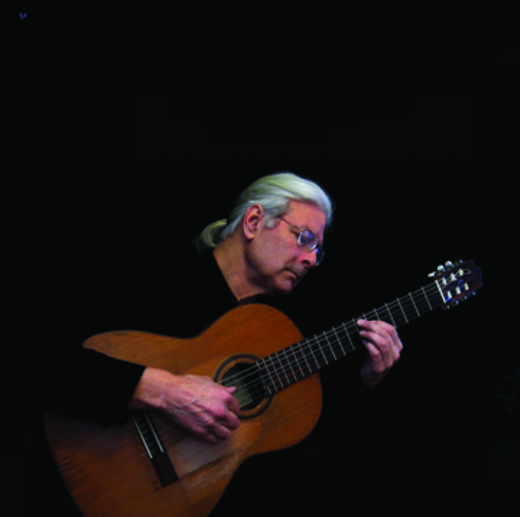 Jeffrey Briggs is a classical and flamenco guitarist, and also plays Latin American music on the guitar, the Venezuelan cuatro, and the Andean charango. He has studied with Spanish flamenco guitarist Juan Serrano, Nubian oud player Hamza el Din, and Argentinian charango virtuoso Jaime Torres. He has performed on radio and televison, including an appearance on the Spanish-language television network Univision, international broadcasts from Argentina (Radio Belgrano (Buenos Aires) and Radio Mendoza), WOUB-TV (Athens, Ohio), WOSU-FM (Columbus, Ohio), and KPFK-FM (Los Angeles). His music has been heard on NBC, MTV, the Independent Film Channel, Oxygen, Bravo, VH-1, Logo, Mexico's Si channel, and in Siempre Pobre, a documentary about street children in Latin America, and is available for licensing from film music libraries in London, Toronto, New York, and Los Angeles. He played guitar in the critically acclaimed musical Twist of Fate at the Tiffany Theatre on the Sunset Strip, winner of 5 awards from the LA Drama Critics Circle and the LA Weekly, including Best Band and Best Musical of 1995, and composed and performed music for The Bullfight, a play by Venezuelan writer Rodolfo Santana at the Stages Theatre Center in Hollywood in 2000. He has played at the Dorothy Chandler Pavilion, Hollywood and Highland Center, the Cinegrill, and numerous other venues in Southern California. He has also performed at Cornell, Ohio State, Denison, and Capital universities, as well as UCLA, Cal State LA, Cal State Irvine, Western University, the Claremont Colleges, and Cypress College, the Mulholland and Beverly Hills Tennis Clubs, and the Miramonte Winery in Temecula. Briggs has recorded with Iranian tar player Kamil Alipour, Persian pop singers Shayyad and Parviz Bazmipour, and Israeli musician/composer Smadar Galor. Briggs is also an video producer, writer, photographer, and graphic artist. Born in Ithaca, N.Y., he has a BA in anthropology from Cornell University, an MA in anthropology from the University of Michigan, and an MFA in film from Ohio University; and has taught photography at Cornell University, film production at Denison University, and television production at Capital University. He was photography critic for the Columbus Dispatch for 7 years. El Charanguero, his video documentary about Argentinian musician Jaime Torres, has aired on PBS stations throughout the United States. Before coming to Los Angeles in 1995 Briggs was leader of the Latin American band Sangría, which performed throughout the Midwest. He has also accompanied a number of flamenco dancers and dance classes.